If You Have the Same Fight Over and Over in Your Relationship, Here’s How to Break the Cycle. One therapist says don’t expect a compromise to fix it. Do this instead. Q: My boyfriend and I rarely fight — and when we do, it seems to always come back to the same issue. I’m a more social person than he is. I like to go to occasional parties together and sometimes host friends at our place. He never wants to go to parties and and doesn’t like to host. We’ve spoken about it, but it continues to come up and be an issue, especially when I ask him to go to parties with me and he refuses. How do I keep this argument from resurfacing? Since you don’t fight that much, the ongoing pushback from your partner over socializing could leave you feeling confused and frustrated. How could something so basic and reasonable, you might wonder, keep showing up as an issue? You’re not alone. We’ve learned from the Gottman research that this is surprisingly common. In fact, there probably isn’t a couple on the planet that doesn’t have some version of this question to grapple with at some point in their relationship. It turns out that of all the problems that couples identify in their relationship, about seven out of 10 of those problems will fit the category we call perpetual problems. Every couple has differences in how partners think and feel, what they prefer, and in the endless number of ways they may come from another perspective. Our histories, psychology, experiences, and beliefs all contribute to these differences. The remaining 30 percent of problems couples have fall in the category of solvable problems. This means that the couple only needs to deal with it once, then they are done. Simple right? No, not really, because what is solvable for one couple may be a perpetual problem for another couple. While all couples have perpetual problems, couples are different in what those perpetual problem are. Let’s go a bit deeper with perpetual problems. We can get a measure of the degree of stuckness in the relationship when differences in a specific area create ongoing distress in the relationship. This goes far beyond minor irritation. We identify that type of problem as a “perpetual gridlocked issue.” Perpetual gridlocked issues seem impossible to talk about, always ending up in an unmovable impasse. With our gridlocked couple that argued about where to go for dinner, on closer examination we would undoubtedly uncover deeper issues that the dinner question represented. Research on stable relationships points to the importance of getting to the underlying issues underneath perpetual gridlocked problems before trying to problem-solve. How problems are defined sets the stage for how to approach the issue. Define whether the problem is a solvable problem, a perpetual problem, or a perpetual gridlocked problem. You can learn more about the difference here. Come up with a temporary solution to manage this ongoing difference once again. If the problem is a perpetual gridlocked issue, go to Step Four. Stop problem-solving and any attempts to convince the partner of your side. Ask each other questions that get to what this issue means. What are the underlying needs here? Explore why this issue is important. If you take enough time to listen to each other then you may try to go back to step three to come up with a temporary compromise. Remember, this specific issue is likely to resurface over and over, because preferences are fairly constant and they are neither good or bad, just different. 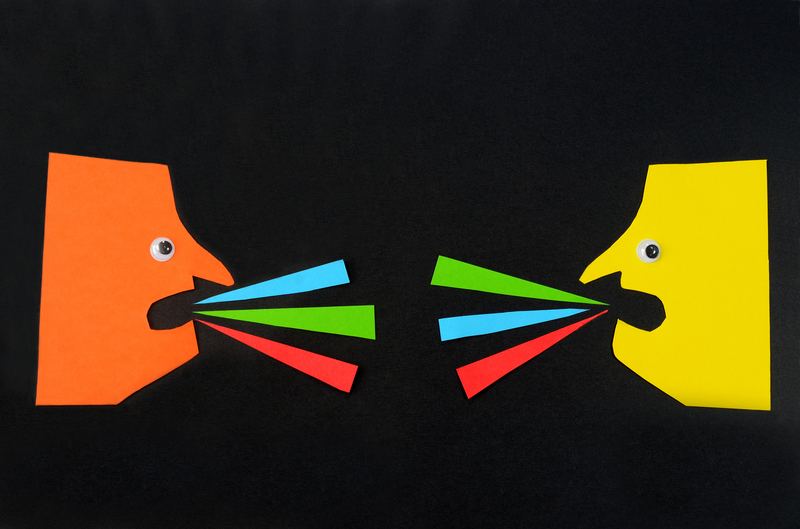 This type of communication exercise works best if you take turns as speaker and listener. Each partner stays in the listener role until the speaker feels understood. Try to get as complete a story as possible before switching to express your side. There are always two sides to every conflict and both are valid. So does this mean that you just have to accept these differences and not expect any change at all? Not exactly. In the studies on happy, long-term relationships, partners do come to accept their differences and react less strongly over time. However, this acceptance only comes after partners communicate understanding and respect for each other’s core needs. With that deeper understanding, hopefully it will be much easier on occasions for you both to accommodate each other. “I know this is important to you and because I love you I’m willing to go along with this.” Compromise is temporary in that it is made on a case-by-case basis, when it is really important to one of you. Understanding that it is normal in healthy relationships to have to revisit the issue from time-to-time helps. Likewise, there will be occasions to honor your boyfriend’s core needs in this area when it is important. “I can see why he doesn’t want to have friends over this weekend, he has been feeling stressed and overwhelmed with work. Maybe we can spend some quiet time together and I can set up another date with our friends.” A good tip is to ask each other, “On a scale of 1-10, how important is this to you?” This helps couples sort through on any given occasion what is at stake for the other person. It is not about winning or losing — it’s about loving. Dr. Robert Navarra is a Certified Gottman therapist, trainer, consultant, and popular speaker. He has co-authored several book chapters on Gottman Method Couples Therapy with John and Julie Gottman, and most recently co-authored three articles on Gottman Couples Therapy with John Gottman for the Encyclopedia of Couple and Family Therapy. Are Different Religious Beliefs a Deal-Breaker If You Want to Have Kids?